After nearly six years of all-volunteer advocacy by our organization, we were able to get a top executive at a the largest prison phone company (Global Tel Link) to blog about the importance of videophones in prisons across the nation! 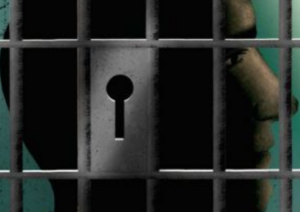 “[S]purred by new Federal Communications Commission regulations, following years of advocacy by the deaf community and a series of lawsuits on behalf of deaf and hard-of-hearing inmates, about a half-dozen states including Maryland, Virginia and Kentucky, have installed videophones that allow deaf and hard-of-hearing inmates to communicate directly with families or allow interpreters so they can call hearing people. The effects of isolation on inmates is well documented. In the case of deaf inmates, the isolation is de facto, not usually deliberate — but no less excruciating. Videophones, with video relay service provided by Purple and similar companies, can reconnect deaf inmates to the world. Prison systems that haven’t yet adopted them should take action. This is in everybody’s interests. People who keep in touch with their communities while they are in prison are less likely to commit more crimes.